Come see this 2018 Chevrolet Malibu LS. Its Automatic transmission and Turbocharged Gas I4 1.5L/91 engine will keep you going. This Chevrolet Malibu features the following options: TRANSMISSION, 6-SPEED AUTOMATIC (STD), SUMMIT WHITE, SEATS, FRONT BUCKET (STD), LS PREFERRED EQUIPMENT GROUP Includes Standard Equipment, LICENSE PLATE BRACKET, FRONT, JET BLACK, PREMIUM CLOTH SEAT TRIM, ENGINE, 1.5L TURBO DOHC 4-CYLINDER DI with Variable Valve Timing (VVT) (160 hp [119.3 kW] @ 5700 rpm, 184 lb-ft torque [248.4 N-m] @ 2500-3000 rpm) (STD), AUDIO SYSTEM, CHEVROLET MYLINK RADIO WITH 7" DIAGONAL COLOR TOUCH-SCREEN, AM/FM STEREO with seek-and-scan and digital clock, includes Bluetooth streaming audio for music and select phones; featuring Android Auto and Apple CarPlay capability for compatible phone (STD), Windows, power with Express-Down on all, and Wheels, 16" (40.6 cm) aluminum. Stop by and visit us at Cavender Buick GMC West, 7400 West 1604 North, San Antonio, TX 78254. 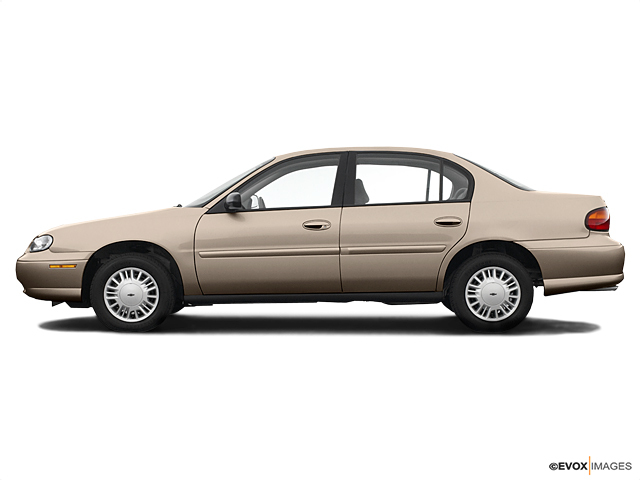 Look at this 2003 Chevrolet Malibu 4DR SDN LS. Its Automatic transmission and Gas V6 3.1L/191 engine will keep you going. This Chevrolet Malibu comes equipped with these options: TRANSMISSION, 4-SPEED AUTOMATIC, ELECTRONICALLY CONTROLLED W/OVERDRIVE (STD), SPIRIT CLOTH SEAT TRIM (STD), SOUND SYSTEM, ETR AM/FM STEREO W/CD PLAYER -inc: seek-&-scan, digital clock & 4-speakers (STD), PREFERRED EQUIPMENT GROUP 1 -inc: cruise control w/resume speed, pwr windows, dual black pwr mirrors, remote keyless entry, ENGINE, 3.1L 3100 V6 SFI (170 HP [126.8 kW] @ 5200 rpm, 190 lb.-ft. [256.5 N-m] @ 4000 rpm) (STD), CRUISE CONTROL, ELECTRONIC W/SET & RESUME SPEED, Wipers, intermittent, front, Wheel covers, 15" (38.1 cm) bolt-on, full, Visors, vanity mirrors, driver & front passenger, covered, and Trunk release, power. Test drive this vehicle at Cavender Buick GMC West, 7400 West 1604 North, San Antonio, TX 78254. Come see this 2013 Chevrolet Malibu LS. Its Automatic transmission and Gas I4 2.5L/150 engine will keep you going. This Chevrolet Malibu features the following options: TRANSMISSION, 6-SPEED AUTOMATIC, ELECTRONICALLY-CONTROLLED with overdrive, SEATS, FRONT BUCKET, REAR PARKING ASSIST, PROTECTION PACKAGE includes (B34) front and rear carpeted floor mats, (AP9) cargo convenience net and (B83) body-color bodyside moldings, PREFERRED EQUIPMENT GROUP includes Standard Equipment, MOLDINGS, BODY-COLOR BODYSIDE, LICENSE PLATE BRACKET, FRONT, JET BLACK/TITANIUM, PREMIUM CLOTH SEAT TRIM, FLOOR MATS, CARPETED FRONT AND REAR, and ENGINE, 2.5L DOHC 4-CYLINDER SIDI WITH VARIABLE VALVE TIMING (VVT) (197 hp [146.9 kW] @ 6300 rpm, 191 lb-ft of torque [257.9 N-m] @ 4400 rpm). See it for yourself at Cavender Buick GMC West, 7400 West 1604 North, San Antonio, TX 78254. Check out this 2013 Chevrolet Malibu ECO. Its Automatic transmission and Gas/Electric I4 2.4L/145 engine will keep you going. This Chevrolet Malibu features the following options: UNIVERSAL HOME REMOTE includes garage door opener, 3-channel programmable, TRANSMISSION, 6-SPEED AUTOMATIC, ELECTRONICALLY-CONTROLLED with overdrive, SEATS, FRONT BUCKET, SEAT ADJUSTER, DRIVER POWER LUMBAR, SEAT ADJUSTER, DRIVER 8-WAY POWER, REMOTE VEHICLE STARTER SYSTEM, REAR VISION CAMERA, PREFERRED EQUIPMENT GROUP Includes Standard Equipment, POWER CONVENIENCE PACKAGE includes (BTV) remote vehicle starter system, (APG) driver power lumbar, (AG1) 8-way power driver seat, (DD8) auto-dimming inside rearview mirror, (UVC) Rear Vision Camera, (UG1) Universal Home Remote, (AP9) cargo convenience net and (B83) body-color bodyside molding, and MIRROR, INSIDE REARVIEW AUTO-DIMMING. See it for yourself at Cavender Buick GMC West, 7400 West 1604 North, San Antonio, TX 78254. Check out this 2015 Chevrolet Malibu LT. Its Automatic transmission and Gas I4 2.5L/150 engine will keep you going. This Chevrolet Malibu features the following options: UNIVERSAL HOME REMOTE includes garage door opener, 3-channel programmable, TRANSMISSION, 6-SPEED AUTOMATIC, ELECTRONICALLY-CONTROLLED with overdrive (STD), SEATS, FRONT BUCKET (STD), REAR VISION CAMERA, PREFERRED EQUIPMENT GROUP includes Standard Equipment, POWER OUTLET, 120-VOLT located on rear of center console, MOLDINGS, BODY-COLOR BODYSIDE, MIRROR, INSIDE REARVIEW AUTO-DIMMING, LICENSE PLATE BRACKET, FRONT, and JET BLACK, PREMIUM CLOTH/LEATHERETTE SEAT TRIM. Stop by and visit us at Cavender Buick GMC West, 7400 West 1604 North, San Antonio, TX 78254.